From the first day, babies need all our love. Give them your love with your choice of baby skin care products. HiPP Babysanft skin care products protect your baby’s skin from external influences and help it to develop its own defences. When and how often should I apply cream? You can apply cream to face and hands several times a day lightly. Thoroughly apply cream to the whole body after bathing. HiPP Babysanft Milk Lotion is easy to apply, is absorbed quickly and returns moisture to delicate baby skin. For more intensive skin care, and for parts of the body that are more often exposed, such as hands and face, HiPP Babysanft Care Cream is just the thing. It is quickly absorbed and supports the stable equilibrium of the skin. 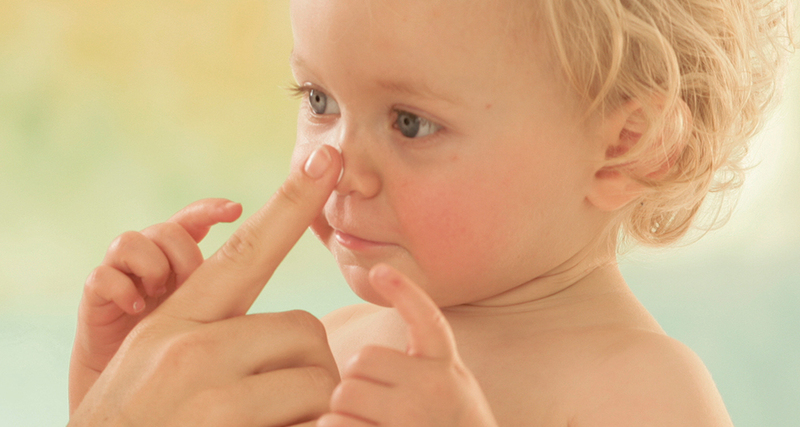 When does my baby need special skin care? Baby’s skin needs special care in winter when the air is cold or inside heated rooms, and of course after bath time. HiPP Babysanft Wind & Weather Balm is particularly rich and protects dry skin from drying out. When it’s cold, it can also be trusted to protect normal skin from weather induced skin irritations. It is absorbed quickly and protects the skin naturally.